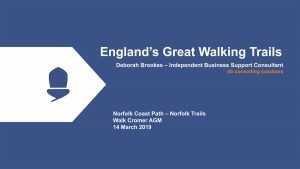 Presentation given by Deborah Brookes at the 2019 AGM regarding encouraging international walkers to the UK. Please arrive at 6.30pm for a 7pm start. 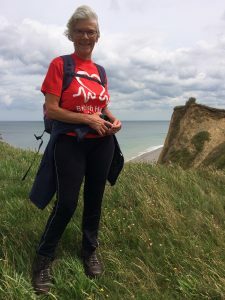 This year we have invited Deborah Brookes to come and talk to you about “England’s Great Walking Trails.” This exciting project has secured £1m in funding from the Discover England Fund to promote walking holiday packages to visitors from Germany, the Netherlands and the USA. The Norfolk Coast Path is one of 7 participating National Trails in England. 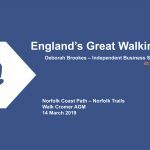 If you are an accommodation provider, pub, food and drink provider, attraction or tour operator on the Norfolk Coast Path you may be interested to find out from Deborah how you can sign up to the international supplier trade directory and how to access the online business development resources available to help you develop your business for international walkers! 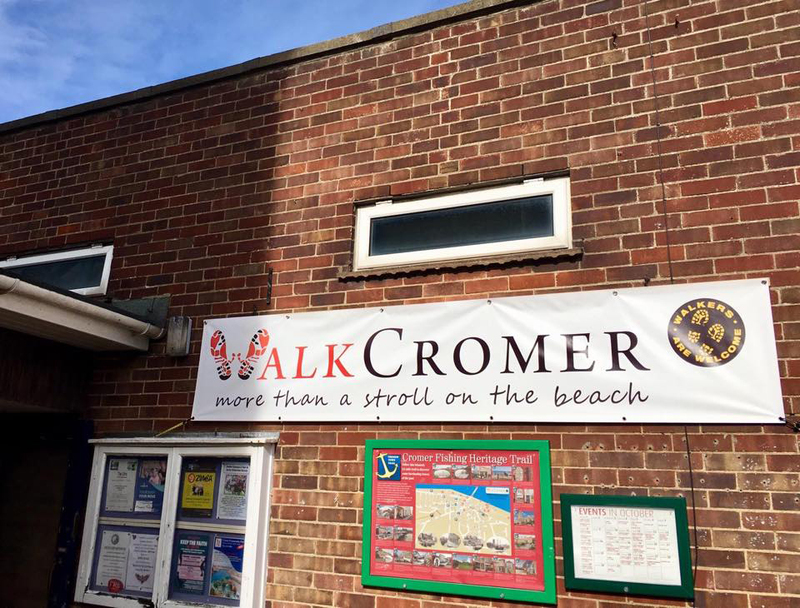 Please come along and find out about what Walk Cromer has planned for 2019, how you could be involved and how it might benefit your business! 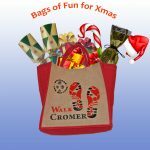 A brilliant Christmas stocking substitute, holds loads of lovely gifts, can be used through-out the year for shopping, carrying down to the beach, holding craft supplies etc. This generously sized canvas shopper (36 x 36 x 24cm) has our logo on one side and is plain on the other. 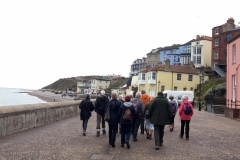 A group of people walking is known as an amble, but at this weekend’s Walkers are Welcome annual national get together in Cromer the pace was certainly not slow, and the weekend clearly showed the passion there is for walking. 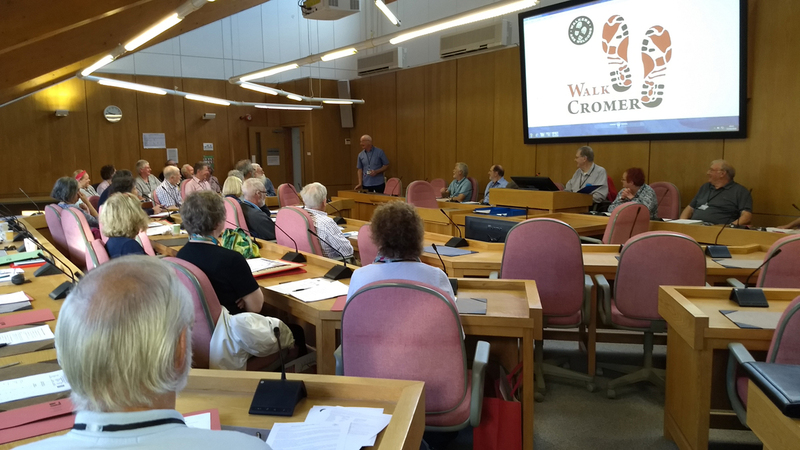 60 delegates came from across the country to Cromer for a packed itinerary showing off the best of the town and area; delegates came from near and as far afield as Ross-on-Wye, Moffat, Kirkby Stephen and Henley-on-Thames. 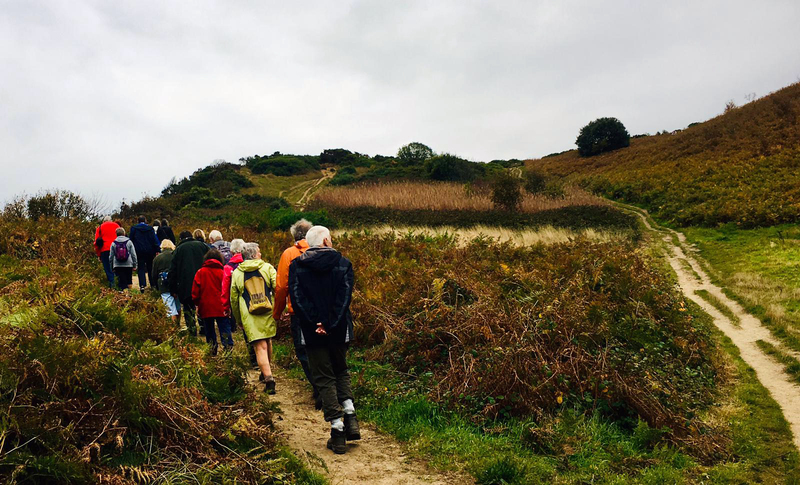 The wonderful mix of delegates all brought a strong view with them: “walking is good for all and their locales are set up to welcome walkers”. 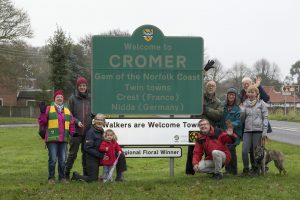 They all took home the knowledge that the walking around Cromer is worth travelling for, and the town is a somewhere special. 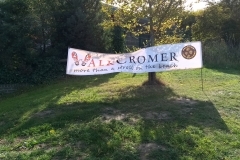 The objective for Walk Cromer, the local organising team, was that delegates took home the message that Cromer was worth the journey: mission accomplished! 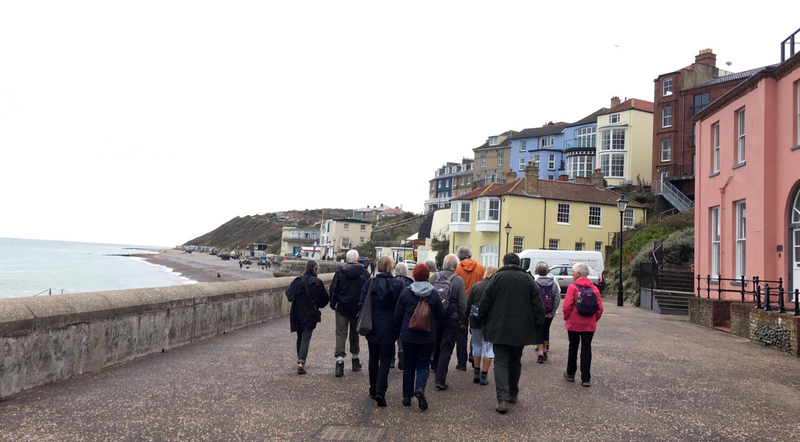 Over the weekend there were informal walks for all to enjoy, and organised walks to show the breadth of the interesting features around Cromer. 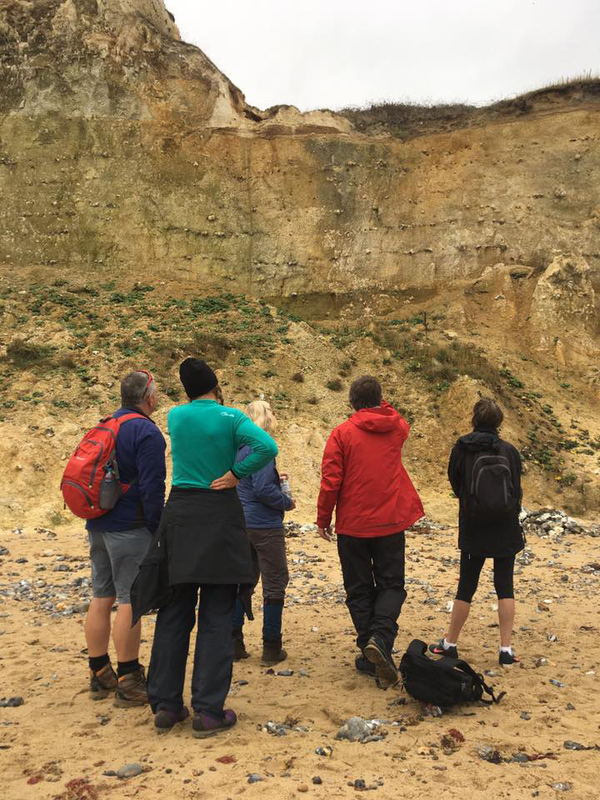 Martin Warren led people on his amazing geology walk showing the depth of the history we have to offer, Tim Bennett led his moving walk around Overstrand, Malcolm English took groups on a photography walk around town, and Alan Tutt took people around the war history of Cromer. Rob Spray told of the unique chalk reef and a journey through its beauty, a real hidden gem. 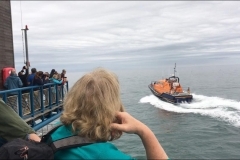 Thanks to Richard Leeds and the Lifeboat team who led a group to watch and photograph the launch of the lifeboat on Sunday morning and explained the workings to the attendees. 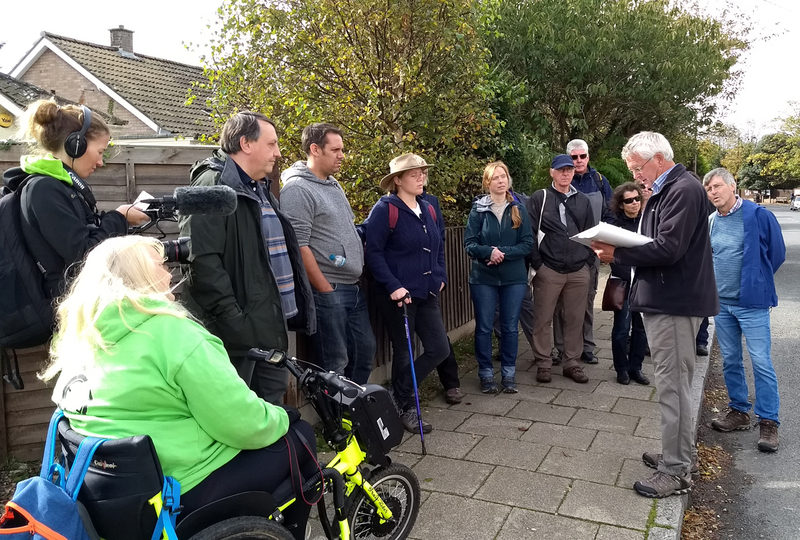 Gina Bradbury and Debbie North shared their journey putting together their online Outdoor Guide and their mixed experiences of making walking, and other elements of the outdoor experience, accessible to those who need wheels to get around. At the Friday evening reception on the pier, over supper at the Old Rockshop Bistro on Friday and at the conference dinner, hosted at the Cliftonville, attendees took the opportunity to discuss walking in a more informal setting and share ideas for promoting the wider elements of walking and the challenges in their own areas. 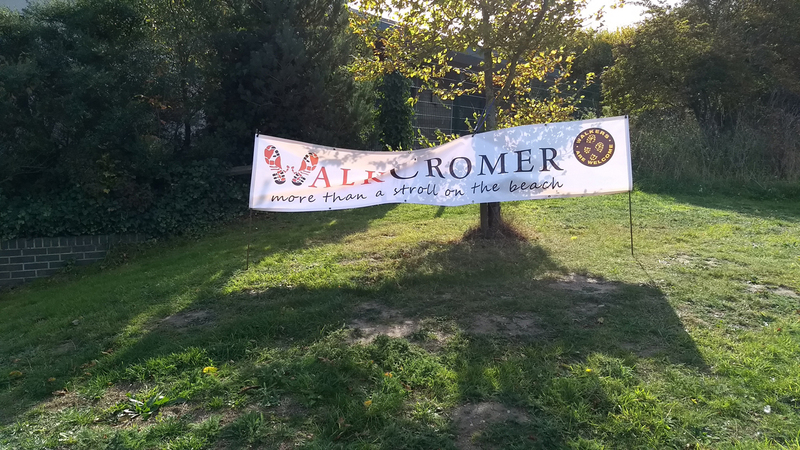 “There are so many people to thank for helping across the weekend,” said Gemma Harrison in the local organising team, “from both the District and Town councils, to the businesses who supported the event and all the people across Cromer who made the attendees so welcome”. Some delegates the opportunity to make the conference weekend an opportunity to visit more of the area and had spent the previous week exploring and all reported the amazing welcome from the area, it’s people and facilities. 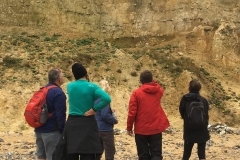 “All the feedback we have had suggests delegates will be returning to Cromer, and will be recommending Cromer to friends and colleagues back home,” said Gemma. 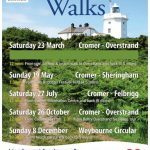 The Cromer Walkers are Welcome volunteers aim to help walkers with interesting printed guides and maps around town. They also check & report on local footpaths and make it easier for walkers themselves to report problems. 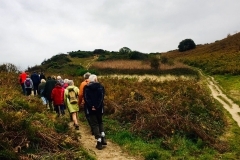 They are also involved in consultations with councils and other relevant bodies regarding developments and plans which may concern walkers. Anyone wishing to join the small team of volunteers should contact Gemma at gemma@walkcromer.co.uk. 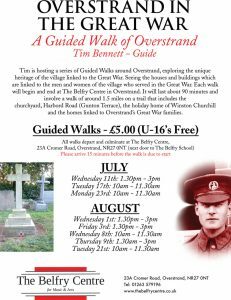 Tim is hosting a series of Guided Walks around Overstrand, exploring the unique heritage of the village linked to the Great War. Seeing the houses and buildings which are linked to the men and women of the village who served in the Great War. 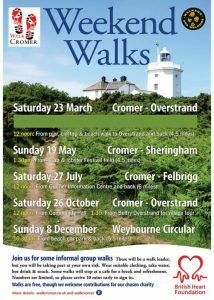 Each walk will begin and end at The Belfry Centre in Overstrand. 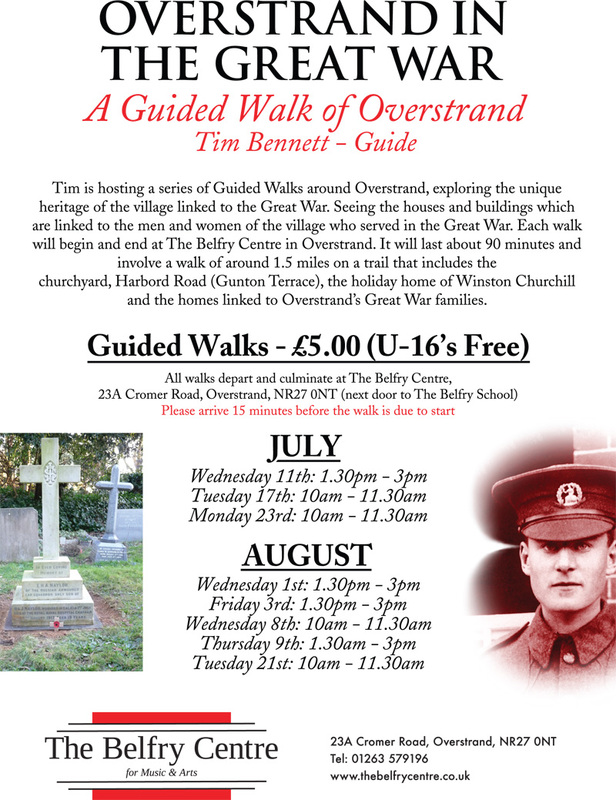 It will last about 90 minutes and involve a walk of around 1.5 miles on a trail that includes the churchyard, Harbord Road (Gunton Terrace), the holiday home of Winston Churchill and the homes linked to Overstrand’s Great War families. 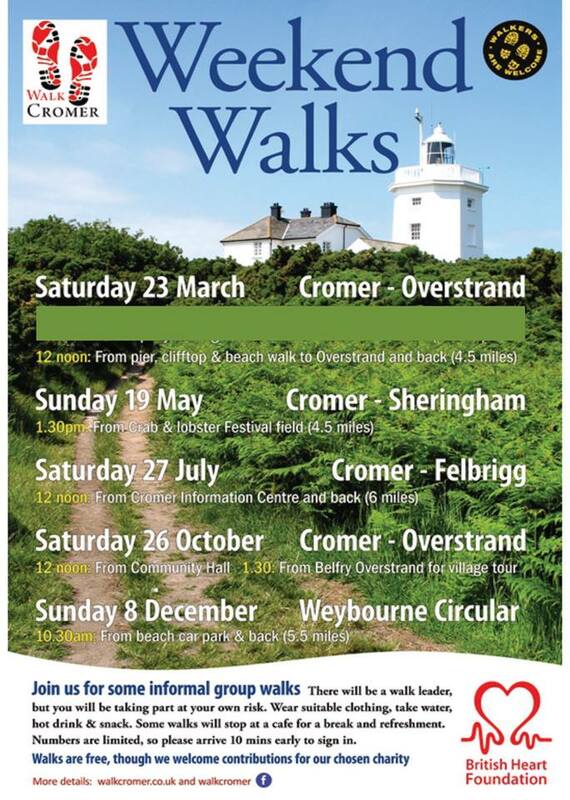 You’re invited to Norfolk’s 4th annual Walking and Cycling Festival. 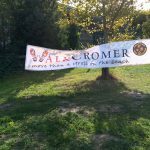 There will be events for all ages and abilities throughout October 2018. The programme of events will be released in May. In the meantime please visit www.pushingaheadnorfolk.co.uk to find out about other cycling and walking events that are taking place around the county. If you are interested in submitting an event for the 2018 contact us at norfolktrails@norfolk.gov.uk. 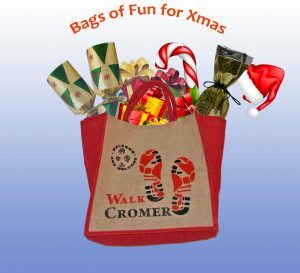 The annual Walkers are Welcome get together will be held in Cromer in 2018. 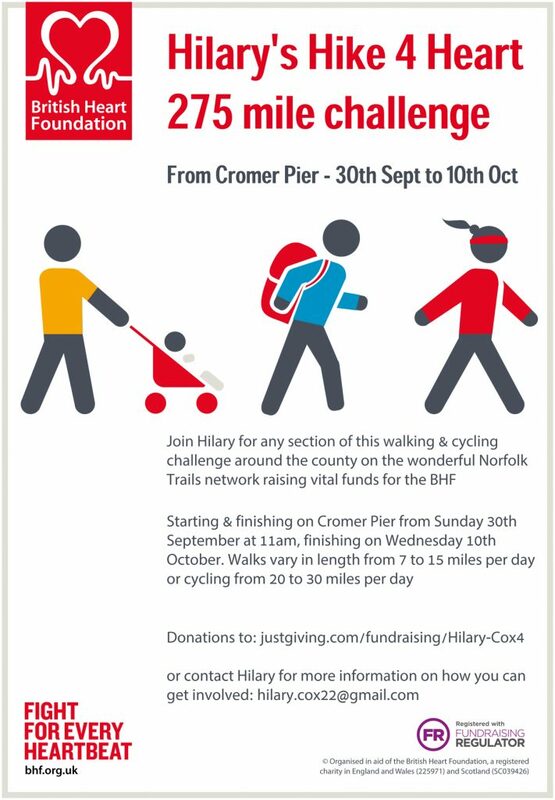 The Cromer group, part of a network of more than 110 towns and villages all over Britain, will host the event on October 12th to 14th. Invitations will be sent to representatives from all accredited towns and villages. Group members are planning a series of talks, walks and other events around town. 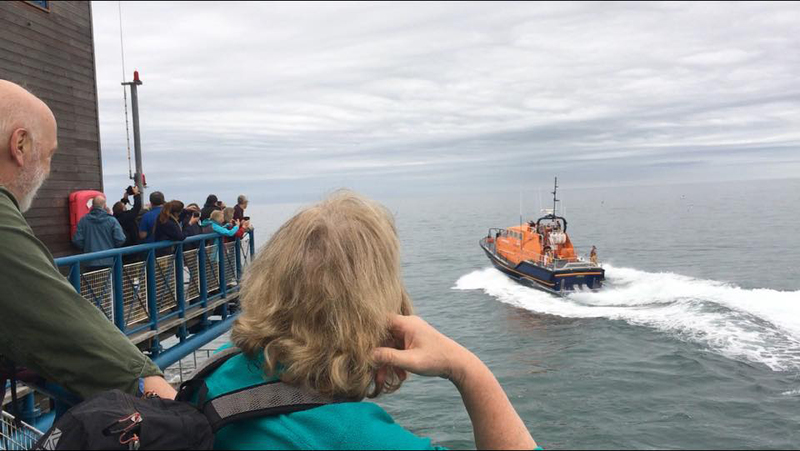 Among these events, a reception will be held on Cromer Pier, which is owned by North Norfolk District Council and operated by Openwide. 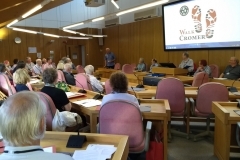 And the Council Chamber at North Norfolk District Council will be used for the Walkers are Welcome annual meeting. Making the decision to bring the annual get together to Cromer, the national Walkers are Welcome committee in Cumbria acknowledged the hard work and achievements of the small but busy Cromer group. 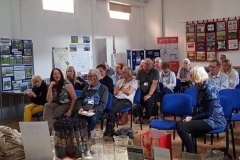 The group has created printed pocket walks, a town food and drink guide, window sticker and discount schemes, town information boards, footpath and signpost monitoring, negotiation with transport companies and liaison with local businesses. The latter of these led to the creation of the Walkers are Welcome beer, made by Poppyland Brewery. The group has also liaised and consulted with Town, District and County Councils. 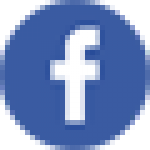 Walkers are Welcome is a non-profit making Community Interest Company. It is a nationwide initiative, launched in 2007 to encourage towns and villages to be ‘welcoming to walkers’. 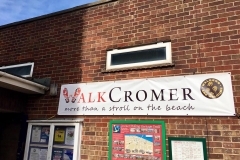 Businesses, traders, organisations and individuals who would like to get involved in the October visit can contact enquiries@walkcromer.co.uk. Come on down to the beach! Thousands of Beachwatch volunteers can tell you how much fun a beach clean and survey is – and how rewarding! Why not get involved? 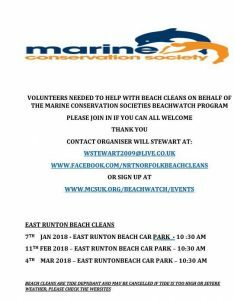 To volunteer at a beach clean, all you need to do is find an event and sign up to attend! There’s loads of information on what to bring and what to expect at an event in our volunteer guide.